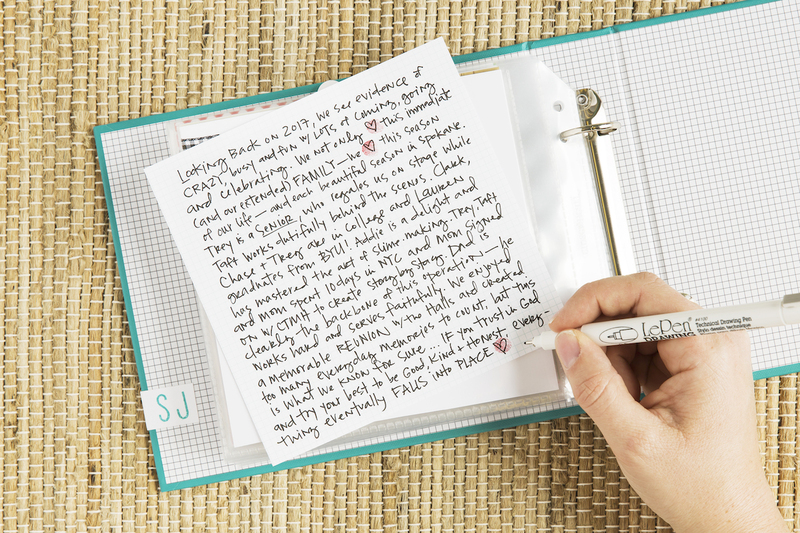 Another year of endless storytelling possibilities is ahead of us, and we’ve asked Stacy Julian, the Stacy behind the new Story by Stacy™ products we’ve shared with you in 2018, to show us how she documents a year in review with a Short Story workshop kit. 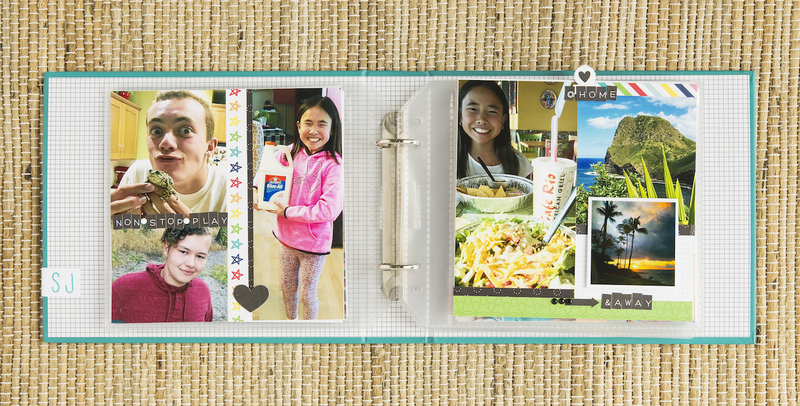 This is the perfect solution for giving your creativity a reboot AND scrapbooking lots of photos with a story at the end. Hopefully by now you know how much I love, and depend on, our Short Story kit and concept. This concept and creative process has become a huge solution that allows me to quickly and intuitively scrapbook dozens of photos and almost any aspect of my life—from small everyday moments to big events and all the people, places and travel in between. 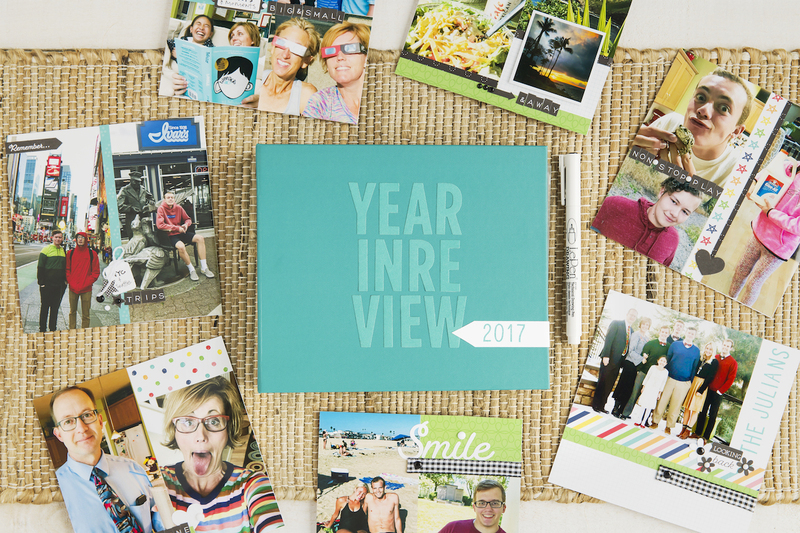 Today I’m excited to show you how you can use Short Story to document an entire year of highlights in a Year in Review album. If you’re feeling the need to do some scrapbook catch-up, this post is for YOU! Let’s start with one calendar year of digital images and your Short Story workbook. I chose to work with photos from 2017, since 2018 still has a few more days left . As you scroll through photos on your camera roll or computer, use the notes section in Step 1 of the workbook to jot down major events, memorable moments and everyday themes that you remember and would like to see represented in the pictures you print. With these images and notes in mind, reflect on and answer the five questions. We sometimes jump straight to printing photos, but with a highlights project like this, these steps are absolutely essential to moving forward with confidence. Use the information and details in your workbook with the list below to help you select and print up to 50 photos for your album. To make this easier, you can download and print this PDF checklist to help you with a Year in Review album. It’s got all of the types of photos listed for you to reference. Start by selecting your group photos and the personality picture for each person you’ll be including in your story. Once you know that everyone is represented, it will be easier to select the remaining photos. For events and travel where I struggled to select just one or two photos, I chose to print an extra image as a 2″ square. I also decided to print my selection of 12 everyday life photos as 2″ squares. I printed all other photos 4″ x 6″. 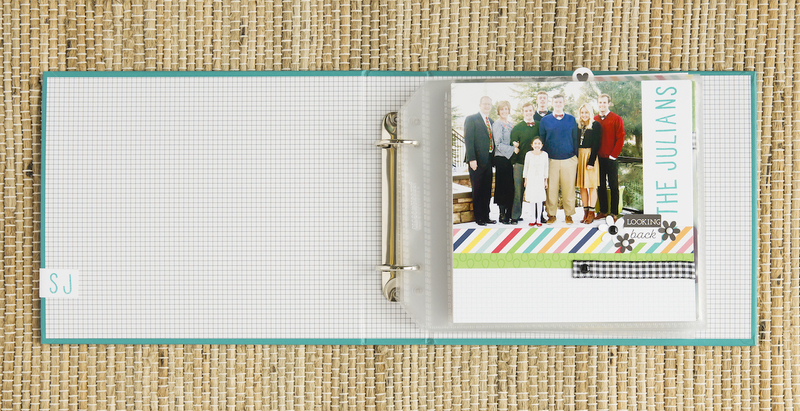 With your printed photos in hand, select one photo to set aside as your title page image. This is Step 2 in the workbook. From here, simply follow the additional steps outlined in the workbook and trust the process. Play some upbeat music and know that in just a few hours you will have an entire year beautifully documented and ready to display and share. Take a look at a few of the pages from my Year in Review album for 2017. You’ll see elements from the checklist represented in my album—individual family members, vacations, seasons, everyday life, and more! After creating your pages, don’t forget the most important part, YOUR story! Step 8 in the workbook gives you a few instructions for how to write a summary about your topic. In this case, it was an entire year of memories! You can draft your story in the workbook, and then write a final copy with a black journaling pen on the grid paper from the workshop kit. For this album, I also decided to decorate the cover. Using the Block Alphabet Thin Cuts and Lagoon cardstock, I made this nice, monochromatic title, Year In Review. The “2017” is stamped with the Simply Said stamp set in Lagoon ink. And there you have it—you’ve successfully documented an entire year! Can you believe how easy that is? You could use this process to make a series of year in review-themed albums. I can’t wait to do this again! Thanks Stacy for sharing a new way to use the Short Story album to get our photos and stories in scrapbooked in fun, creative ways. What year will you pick to document with a Short Story album?